Abstract. Hip fractures are among the most dangerous fractures, because they are quite common in older people and are difficult to treat. Based on the general opinion, the most effective tactic is surgical treatment, but its results against the background of osteoporosis are not satisfactory. Reducing the likelihood of hip fractures is a complex problem that can only be solved by combining the idea of medical science and mechanical research of a deformable solid. In this paper, the calculation of stresses arising from exposure to the reinforced femur neck of various loads is considered. At the current stage of the study, calculations of the stress–strain state corresponding to the loads at the moment of impact when a person falls on the thigh are carried out. Comparison of the values of withstanding stresses indicates the utility of using the considered implants, which in consequence will reduce the likelihood of a hip fracture. Using reinforcing metal structures in the bone has led to increasing of the highest extremes by about 140%, which confirms the utility of their use. Thus, pre–reinforcement of the femoral neck in elderly people at risk reduces the likelihood of fracture due to the reduction of critical stresses in hazardous areas. Keywords: numerical simulation, femur neck, mathematical modeling, deflected mode. Lazarev, A. (2012). Operative treatment of the proximal femur fractures. VIII Congress of Traumatologists-Orthopedists of Uzbekistan “Actual Questions of Traumatology and Orthopedics”, pp. 153–154. Zorya, V. (2016). Treatment and prevention of fractures of the femoral neck in elderly and senile patients. Organizational and Clinical Issues of Rendering Assistance to Patients in Traumatology and Orthopedics, pp. 34–36. Matveev, A. (2008). Operative way of prevention of femoral neck fractures. Patent No. 2316280, Russian Federation, IPC 7 A61B 17/56, applicant and patent owner: Matveev, A. L., No. 2006114271/14; claimed 26.04.2006; published 10.02.2008, bulletin No. 4. Kotelnikov, G., Bulgakova, S., & Shafieva, I. (2012). Evaluation of the effectiveness of a set of measures for the prevention of fractures – markers of osteoporosis in elderly women. V Conference with international participation “The problem of Osteoporosis in Traumatology and Orthopedics”, pp. 72–73. Kochish, A., Ivanov, S., & Sannikova, E. (2013). Comparative analysis of adherence to the diagnosis and treatment of osteoporosis in patients with low-energy fractures. V Russian Congress on Osteoporosis and Other Metabolic Skeletal Diseases, pp. 45–50. Povoroznyuk, V. (2005). Osteoporosis – The Problem of the XXI Century. The Art of Treatment. Faucett, S., Genuario, J., Tosteson, A., & Koval, K. (2010). Is Prophylactic Fixation a Cost-Effective Method to Prevent a Future Contralateral Fragility Hip Fracture? Journal of Orthopedic Trauma, pp. 65–74. Dimitrienko, Yu. (2011). Modelling of Mechanical Properties of Composite of 3D orthogonal woven composites. Composites Science and Technology, Vol. 71, pp. 1777–1788. Zacherl, M., Gruber, G., Glehr, M., Ofner, P., Radl, R., Greithbauer, M., Vecsei, V., & Windhager R. (2011). Surgery for pathological proximal femoral fractures, excluding femoral head and neck fractures. Resection vs. Stabilization. Department of Orthopedic Surgery, Medical University Graz (SICOT), Austria, pp. 1537–1543. Tonkonogiy, V., Savel’eva, O.,& Bets, A. (2012). Information technology in education, science and production. Collection of Scientific Works, Bakhava JSC, Vol. 1(2), pp.182–188. Kanis, J., Burlet, N., & Cooper C. (2008). European guidance for the diagnosis and management of osteoporosis in postmenopausal women. Osteoporos Int. Kucher, N., Zemtsov, M., & Zarazovsky, M. (2006). Deformation of layered epoxy composites reinforced with high-strength fibers. Problems of Strength, pp. 41–57. Nekhozhin, A. (2013). Bilayer mathematical model of human femur neck for the stress state research after reinforcement with different designs of implants. Herald of the Samara State Technical University, Vol. 3(32), pp. 129–135. Savelieva, O., Prokopovich, , Pavlyshko, A., Matveev, A., & Starushkevych T. (2018). Computer modeling of implant for femur reinforcement. 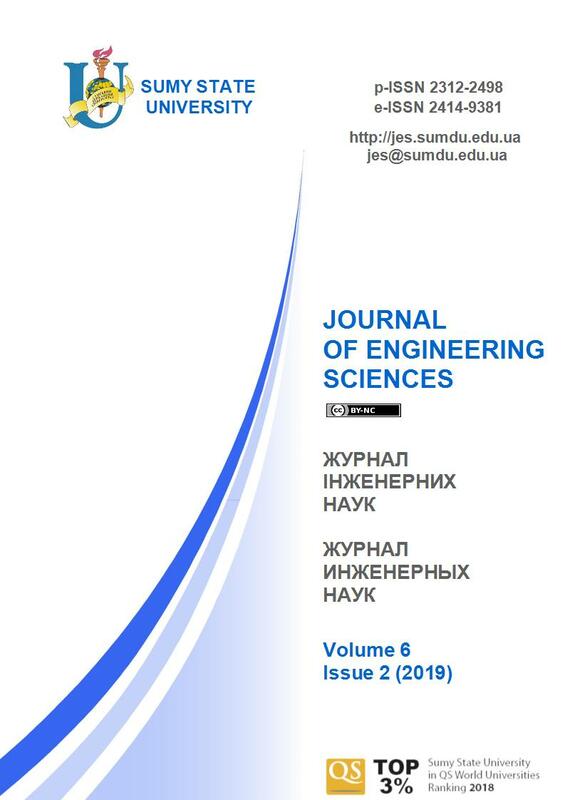 Proceedings of Odessa Polytechnic University, Vol. 1(54), pp. 51–61.